Thunder Bay Press, 9781684120840, 80pp. These challenging sticker puzzles are extremely fun! Fans of puzzles who are looking for a new challenge will find plenty of enjoyment in these 15 intense stickering puzzles. Each puzzle consists of a tessellated grid that includes a few clues to get you started, along with up to 100 reusable stickers to complete the design. When the last sticker is placed, you'll have a beautiful glossy art poster that can be framed on the wall. 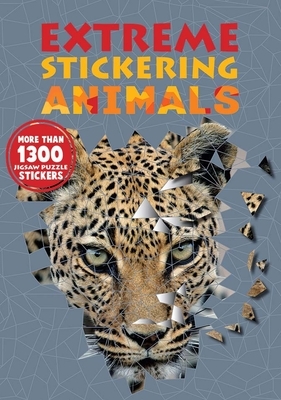 Animal lovers and puzzle enthusiasts will delight in stickering the images of dolphins, flamingos, golden eagles, dogs, cats, and more! Any Puzzle Media creates a wide range of brain-training, puzzle, and creative books for both children and adults. Based in the heart of London, the company is run by Dr Gareth Moore—a director of both the World Puzzle Federation and the UK Puzzle Association. Dr Moore is also the founder of daily brain-training site, BrainedUp.com.